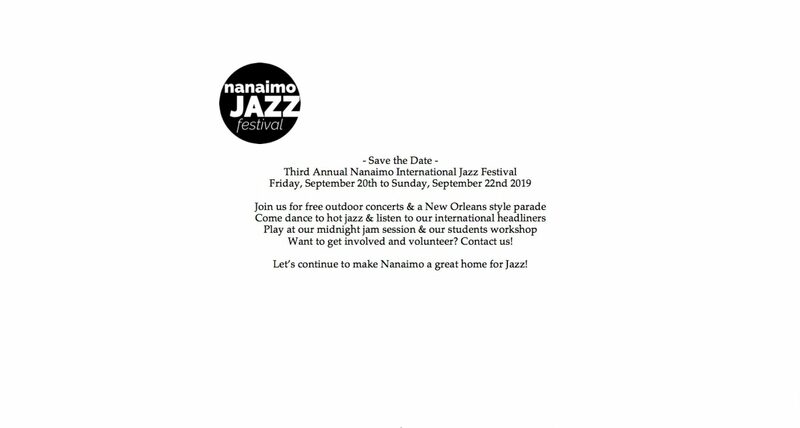 New Orleans came to town, to celebrate the inaugural Nanaimo International Jazz Festival September 15th to 17th. 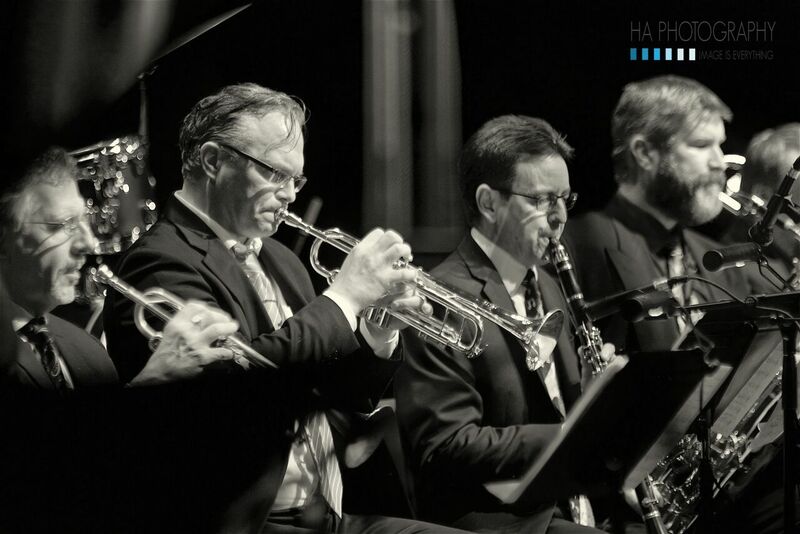 For 3 days and nights Nanaimo’s downtown was hopping with the beats and grooves of live jazz. 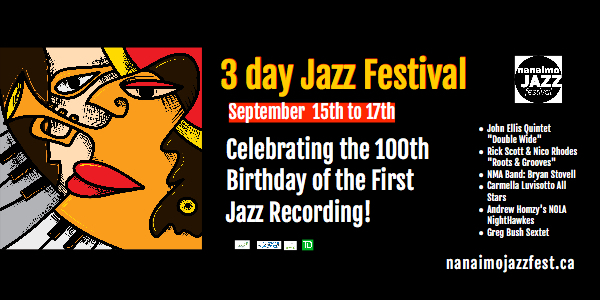 The Festival put Jazz in Diana Krall Plaza, as well as a ‘Jazz Krall’ in other downtown cafes and public spaces throughout the event. Traveling all the way from New Orleans was the John Ellis quintet “Double Wide” who headlined the Festival's main attraction at the Port Theatre Saturday night. There were jazz goings-on for all ages - from 4 ticketed events to many FREE live performances occurring all weekend long. One of the favourites was the New Orleans-style “second line” parade at noon on Saturday. Thank you to all our 2017 Sponsors for making this inaugural Nanaimo Jazz Festival possible. All photographs on the site are courtesy of HA Photography, unless otherwise noted.